The business has always been built on a long-term employee base, quality products and customer satisfaction. We try to create a family oriented concept with employee input, teamwork & enjoyment of the job, so as to allow the above to show through in our work. Clean, neat working habits, trucks and equipment have always been our strong point. We always work to portray this image & strive to perfect it. We like to think of our company as an old Mom and Pop business with a knowledgeable staff, loyal customers, quality products & pride in what we do. 1972 – Aluminum Associates was formed by Kenneth J. Lehr. 1981 – Aluminum Associates is sold to Kert E. Sloan, an employee of the company, who runs it as a sole-proprietorship. 1983 – Aluminum Associates incorporates and becomes Aluminum Associates / Sloan Corp.
1999 – Sloan Corp. purchases Hartman’s Home Improvements in order to expand the remodeling end of the business. 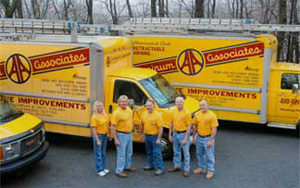 1999 – Present – Aluminum Associates continues to set the “gold” standard for home renovations in the Berks County region. Kert is committed to improving people’s lives through the improvement of their homes. Kert was the president of the HBA in 1989, 2006 & 2007. He was also the president of NARI for four years. He currently serves as a PBA Director and NAHB Director. 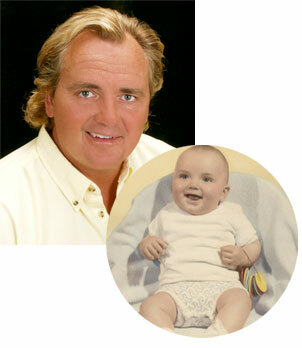 He is a Certified Aging-in-Place Specialist, a Certified Graduate Remodeler and a Certified Green Professional. Cathy has brought joy to countless customers during her 25 years with Aluminum Associates. In 2013, Cathy served as HBA President. She currently serves as a NAHB Director and sits on the PBA Board and the HBA Restoring Hope Foundation Board. 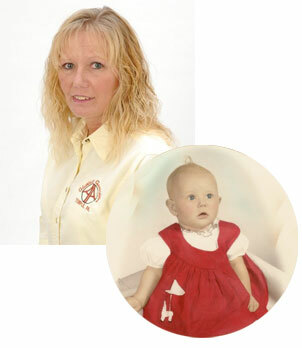 She is a Certified Aging-in-Place Specialist, a Certified Graduate Remodeler and a Certified Green Professional. *All Aluminum Associates are certified renovators and have undergone Seaway Manufacturing Patio Room Installation Training and Provia Entry and Storm Door Training. The HBA of Berks County provides leadership for the building industry by promoting education, services, smart growth and political involvement, while maintaining our high code of ethics. The mission of the HBA Restoring Hope Foundation is to construct solutions to address unique challenges of deserving people in Berks County. The Pennsylvania Builders Association is a non-profit building industry watchdog. The National Association of Home Builders is a trade association that helps promote the policies that make housing a national priority. Find us in the NAHB’s Directory of Professional Remodelers! © 2018 Aluminum Associates. All Rights Reserved.